Look no further! 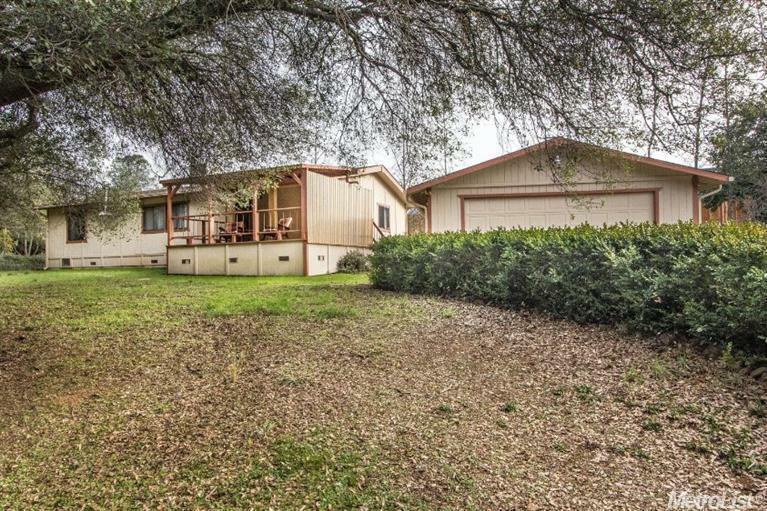 Clean, spacious 2-Bedroom, 2-bath home on 1 acre is ready for move-in. Enjoy lovely views from your all-weather covered deck, a bathroom for each of the two bedrooms, separate dining bar and dining area, PLUS generously sized 2-car garage, separate tool shed, and ADDITIONAL 2-car carport. Manicured & mature oaks screen the home along the (private) road, too. Home is on permanent foundation and is being sold by the original builder. Recent roof, gutters, more. You'll love it!